Discreet, smooth, easy and creamy, chocolate edibles are the way to ingest weed. 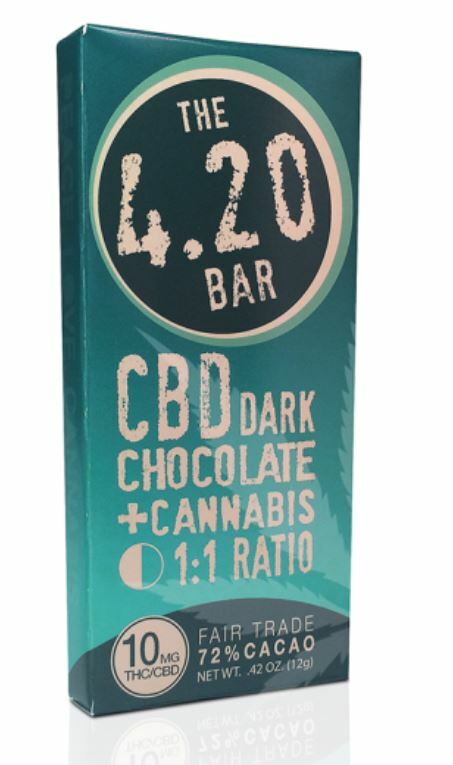 Enjoyed with a full body high + tingles, The 4.20 Bar by Evergreen Herbal CBD Dark Chocolate + Cannabis brought hours of enjoyment, medicinal benefits and recreational fun. CBD is used for many medical applications and is non-psychoactive. When paired with active THC, it can produce a pleasant body high that many recreational users can also enjoy. More on CBD here. An intensely dark chocolate with a strong body high. Flavor: Rich, intense, slight MJ flavor at the end. Potency: Strong body high, clear mind. Intensely dark and decadent, the dark chocolate cannabis bar is for purists. If you’re really going for something chocolatey, look no further. The aftertaste has a strong weed flavor which kicks up its appeal. After the initial mouthwatering enjoyment, relaxation was imminent and we experienced a strong body high with great medicinal benefits. The effects gripped us for several hours, they slowed to a pleasant and easy fade. Check it out here.